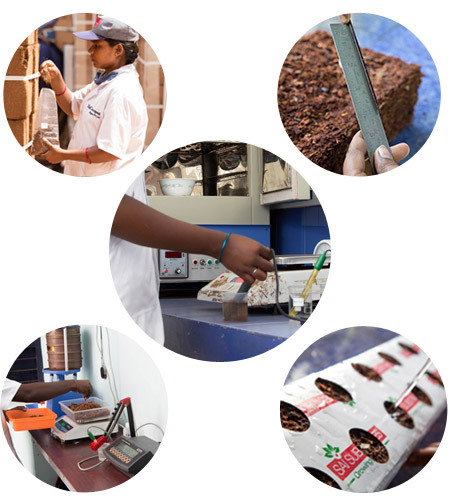 Sai Cocopeat follows a multi-stage process for quality assurance. We have separate laboratory in each units to check the sourced material, product while development and products post development. Our team of quality controllers work with common procedures on all our production sites, checks are made throughout the manufacturing process right up to dispatch.To ensure production homogeneity each site has a laboratory that carries out regular tests throughout the production process. In addition samples are taken of the products sent in order to ensure good product evolution.